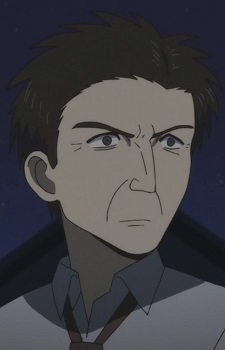 He is Hidenori and Yuusuke's father whose real name is unknown. Like his son, he has a tendency of acting on random like using a golf club as a baseball bat and incoherently saying how he dreamt of being a pilot when he was younger. He calls Hidenori "Glasses," and mocks him when he heard of his dream of going overseas to help people.